Kyle Iboshi's article and Sgt. Keith Krafve's sworn declaration of May 2017 that was provided to KGW are both must reads in their entirety. Kyle Iboshi (KGW) has been since the get go and continues to be an advocate for Kyron and his parents. As Desiree would say, "STAY TUNED"! “Multnomah County’s criminal investigation into the disappearance of Kyron Horman is also active and ongoing, with detectives continuing to follow leads, and a grand jury remains empaneled to take evidence in this matter,” wrote Sgt. Keith Krafve of the Multnomah County Sheriff’s Office. Krafve made that statement in a sworn declaration provided to KGW in response to a public records request. It is the most revealing official statement about the Horman investigation in years. What have Desiree and Kaine learned in those on-going briefings with investigators? Could it be that behind the investigative scenes Kyron's parents have been privy to upcoming happenings ... upcoming happenings that will provide them with a measure of closure in regards to the disappearance of their precious son? When ongoing briefings with investigators are considered ... if Kaine and/or Desiree say it ... I believe it. The Multnomah County Sheriff’s Office is quietly coordinating ground searches, detectives are analyzing new computer evidence and a grand jury remains empaneled in the Horman case. Detectives hope a digital trail will help provide clues into the whereabouts of Kyron Horman. “They are working computer forensic information and evidence that they’ve gotten that’s come to light recently,” explained Young. Multnomah County investigators declined to provide details about the new evidence. A source with knowledge of the investigation said police recently examined a laptop computer that used to belong to Kyron’s stepmother, Terri Horman. What was the implication of the words "pending criminal charges" in the December 2013 divorce agreement ... words that were directed at Kaine and initiated by Terri. When Terri's alleged behaviour is considered ... is it possible that "fat burners" could be translated "steroids" in Kaine's 2010 account of Terri preparing herself for the 2005 body building competition? In other words ... Kaine was being discreet in an attempt to prevent steroids from ever becoming an issue ... an issue that had the ability to bring them both down? Think about Dede's allegation in the 2013 Blink interview ... allegation that Stephen Houze had in his possession evidence that could implicate Kaine in criminal activity involving steriods. Could it be that Terri ... Stephen Houze ... reconsidered prior to following through with legal action against Kaine? Could it be that Terri was advised by her $350,000 up front attorney to think twice prior to going down that road? When Kaine's 2010 words regarding Terri's use of "fat burners" is considered ... could it be that Terri's attorney was concerned that his client's own past may come back to bite her?
" ... This release is not intended to apply to any claim Respondent may have against the Petitioner relating to the pending criminal charges against him. ...."
In 2005, she started going to the gym again, transforming her body into a mass of muscle to compete in a bodybuilding championship. Kaine said he noticed a sharp shift in her behavior, saying she became self-centered and short-tempered. "She's not eating a lot of food, she's exercising twice a day, she's up at 4 o'clock in the morning, she's not sleeping at night so we get just general irritable behavior towards everyone around her," he said. At the end of April, with her muscles bulked up and skin glistening with a bronze tan, she competed in the Emerald Cup bodybuilding competition in Bellevue, Wash. Clad in shimmering green and purple bikinis with her hair done up in a tumble of curls, she took fourth place in the master's category for women over 35. Spicher: I had no reason to believe she had ever used any kind of steroids. I can’t say conclusively she never did but it would shock me. Stoy: .... By the way, who else knows about this, if you know. Spicher: She said that Kaine had been aggressive with her and impatient with the children and she attributed that to his “juicing”. 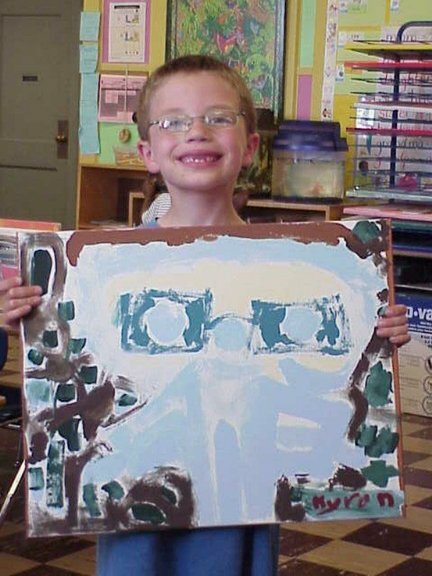 Kyron Horman, who was last seen at Skyline School on June 4, painted a self-portrait while he was in second grade. His father, Kaine Horman, said his son's biggest talent is art. This year, as always, his blended family will host two birthday parties, one in Medford and another in the Portland area. They'll dish out chocolate cake, play his favorite tunes, read heartfelt cards and release bunches of red balloons to celebrate his favorite color. There may even be a few gifts. But the birthday boy himself won't be there. Kyron, who was born eight years ago Thursday, has missed several milestones since he disappeared more than three months ago: Father's Day in June, the first day of school this week and now his birthday parties. Considering Desiree's ongoing briefings with investigators ... logic dictates that her words are not pulled out of thin air ... there is a foundation. In other words ... if Desiree says that on the morning of June 4, 2010 "multiple" witnesses observed Kyron leaving the school with Terri through the "side exit" located near the classroom ... I believe it. Video Excerpt: "It was exactly between 8:45 and 8:55. He was in his classroom. He got the photo taken by Terri and he according to eyewitness accounts ... multiple adults ... that can vouch for the fact that Terri walked out the side entrance of the school with Kyron in tow and we know this because Kyron's friend even saw him with her right outside the school." 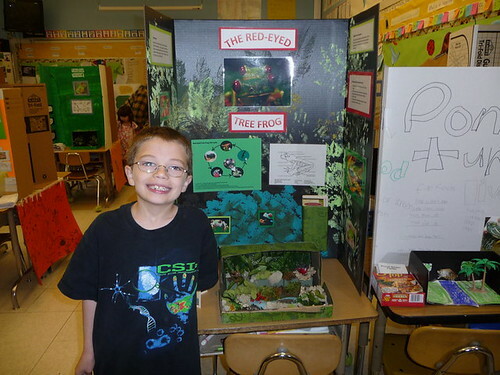 Desiree Young’s son, Kyron Horman, disappeared on June 4, 2010 from his school science fair. “He was seen throughout the school along with Terry (Kyron’s step-mom) and Kiara (Kyron’s step-sister) and a lot of eyewitnesses place him in the key classrooms, looking at the exhibits. Then we know that at approximately 8:44 in the morning he was posing in front of that picture that we all know, in front of his exhibit. We know that Terry was in the school when she took that picture, then from that point we have eyewitness accounts that place him leaving the school with Terry right out the side exit,” said Young. According to Young, that was the last time anyone saw him, “We just don’t know what she (Terry) did with him from that point until the time that she’s captured on surveillance footage at the gym,” said Young. What have Desiree and Kaine learned in those on-going briefings with investigators? Could it be that behind the investigative scenes Kyron's parents have been privy to upcoming happenings ... upcoming happenings that will provide them with a measure of closure pertaining to the disappearance of their precious son? Eight years of not knowing? Eight years of Kaine and Desiree not being allowed to hold their precious son? Eight years of memories denied as Kyron matured from a little boy into a young man? It must be a literal h--- on Earth. Scripture tells us that patience is a virtue. It is a virtue that I fail to possess naturally but I am working on it. Waiting on God's perfect timing is sometimes soooo difficult. The Fifth Amendment of the United States Constitution prohibits the government from forcing witnesses to give self-incriminating testimony in criminal cases. Courts may evade this prohibition and force reluctant witnesses to testify by granting them immunity from prosecution. Once witnesses cannot be prosecuted for their testimony, courts may punish them if they refuse to testify. DEDE SPICHER - WITNESS FOR THE PROSECUTION? Could it be that in 2013 ... the prosecutor finally caved to the terms of Dede Spicher's attorney and immunity from prosecution for his client was afforded in exchange for her full co-operation regarding her involvement as well as knowledge of the happenings encompassing the disappearance of Kyron Horman? The outcome? After three years Dede finally submitted to a polygraph and passed. She then testified before the Grand Jury. Could it be that Dede will be the prosecutor's star witness when the whereabouts of Kyron is known ... when Terri is eventually indicted for her involvement in the secreting of Kyron on the morning of June 4, 2010? "In addition, Sheriff Staton has met regularly with Kaine Horman concerning the investigation and to ensure they are fully aware of the current course of action being taken by investigators." DESIREE: "WE KNOW DEDE SPICHER IS ONE OF THEM." yes she had an immunity deal but then didn’t honor all of the details behind the agreement. I bet she didn’t say that did she. Not only has she not done what she agreed to but she has actually gone out of her to compromise the case. Considering the official foundation that Desiree derives her words ... I believe her when she states that "multiple eyewitness accounts" reveal that Terri, Kyron and Kiara left Skyline together on the morning of June 4, 2010 through a side door and was then observed outside by "Kyron's friend". When Terri's own words are considered ... could it be that Tyler was that friend? October 13 at 9:06 a.m.
We’re coming, we’re working always for you. It might be quiet, but we are still dedicated and committed to things behind the scenes, to bring you home. Never ever giving up, can’t wait until I get to reveal our hard work that we have been doing recently. Always know that I love you and miss you terribly. Think about it. Less than a month following the disappearance of Kyron ... his stepmother was sexting a friend of her husband. Terri: I parked for a while ... about 1/2 hour. I rocked her to sleep and got her to crash a little bit. JuJu Chang: So why pull off of the road? Terri: She works best at the time. Works best to be rocked to sleep. Chang: Terri said once Kiara was asleep she began to drive around to keep her napping. "I have a receipt showing I was checking out at Fred Meyer 7 miles away at 9:12am. I went to another FM looking for meds for Kitty they didn't have at the first FM. Then I was trying to get Kitty to sleep in the truck for a few minutes, but no go, so off to the gym at 11:20. Out at 12:20. Home at 12:45. Kaine home at 2. Bus at 3:30. That was my day - they keep asking me. Now on my 5th interview with them ..."
"She would change her story daily, if not more than that. Every time you talked to her, it was a little bit different about what happened that day." "The past 2 weeks he's been acting really weird. Staring off into space. Can't remember anything. Walks into the room and then back out, stopping to stare and then move on. The doc thinks that he is having mini seizures and I made an appt on Thursday for next Friday to have him checked out." That contradicts what multiple sources have told KATU News. In the days before the science fair, Terri informed Kyron's teacher he had the appointment that day, June 4, which is why no one expected he would be in class and was marked absent. "Ms Porter had an email that excused Kyron, email was from Terri herself. That's why the school didn't question it further. It's Terri's fault that Ky is missing today not Skyline's." Who was the last person observed with Kyron at Skyline on the morning of June 4, 2010? In other words ... did Terri leave Skyline with or without Kyron? The stepmother said she last saw Kyron at about 8:45 a.m. walking down the hallway toward his classroom, according to a sheriff's office news release. .... However, the sheriff's office news release says school staff did not see Kyron after 8:45 a.m. and that he did not make it to his classroom. Young: "He was in his classroom. He got the photo taken by Terri and he according to eyewitness accounts ... multiple adults ... that can vouch for the fact that Terri walked out of the side entrance of the school with Kyron in tow and we know this because Kyron's friend even saw him with her right outside the school." " .... I left the school at 9 and he was seen with a man 'chaperone' and 2 girls after I left. Page created in 2.226 seconds with 20 queries.